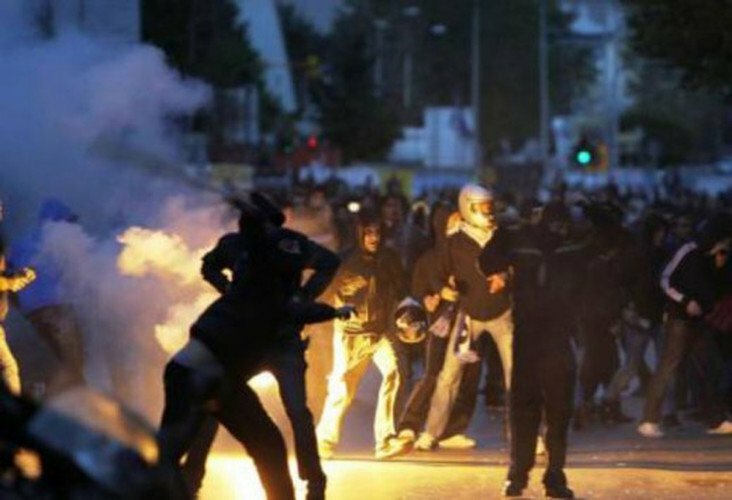 A clash between nearly 150 Shalke fans and riot police took place on Thursday in the northern city of Thessaloniki ahead of their team’s Europa League match against PAOK. Police said the group of German fans, who had previously visited a district full of beer parlors and restaurants, threw fireworks and stones at riot police escorting them. Police responded with tear gas. Fortunately, there were no arrests or injuries reported from the violence that happened just hours before Thursday’s game. Approximately 1,400 Schalke fans are expected to attend the game.